There are fourteen Fantasies by Sor for solo guitar and four for two guitars. The composer’s Romantic side is best shown in this genre. Some of the interesting issues around them will be discussed. A native of South Korea, Yen Lee has been an active member in the guitar competition circuit, winning prizes and appearing in many major concert venues and music festivals, including Seoul Art Center, Sejong Art Center, Hoam Art Hall, Jeju Guitar Festival, and Busan Guitar Festival. 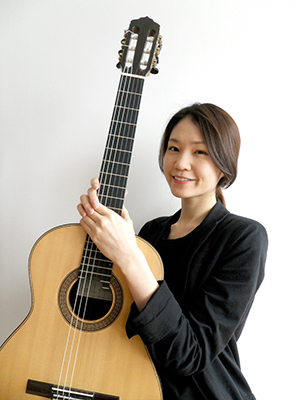 In 2007, a music management company scouted Yen for the first guitar part of the Botticelli Guitar Quartet, which toured throughout Korea and recorded Vivaldi’s The Four Seasons for Sony Classical. After finishing her undergraduate studies at Seoul National University in 2010, Yen moved to New York City for further study and has performed in concerts at the New York Guitar Seminar at Mannes, the Upstate New York Guitar Festival, the New England Guitar Festival, Tenri Cultural Institute, The Morgan Library and Museum, the DiMenna Center, The Frick Collection, the Liszt Festival at Mannes, and the GFA Regional Symposium, among others. In 2013, she placed fourth in the Indiana International Guitar Competition. She also participated in the recording of the album Angelo Gilardino: A Salute from New York, released by Bèrben in 2014. Yen is now pursuing a Doctor of Musical Arts degree at Manhattan School of Music. She holds a Bachelor of Music degree from Seoul National University and a Master of Music degree from Mannes College The New School for Music.